Correct. The emergency lane is the safest place to be. Park as far left as you can in the emergency lane. What should you do if you break down on a freeway? The emergency stopping lane (sometimes called the hard shoulder) is a lane up to 3 metres wide, with a minimum of 2 metres wide which is on the left of a freeway or motorway. There is also a lane of at least 1 metre wide on the median (i.e. right of the right-lane). It is not used as a traffic lane and therefore should be free of vehicles and safe for you to stop there. 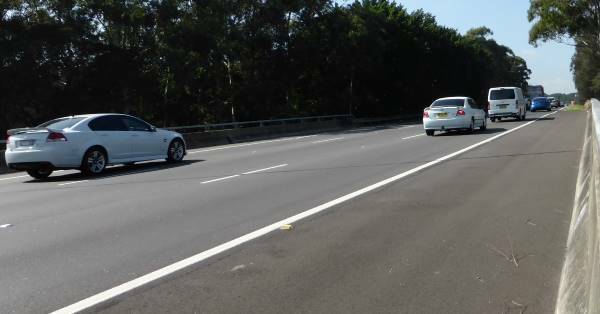 In some areas where it's not possible to fit a full hard shoulder on the left then one might be provided on the right, as in this photograph of a motorway in Sydney. The lanes are not usually built more than 3 metres wide because it encourages drivers to use them as actual running lanes. Where there is no space for a continuous shoulder stopping bays are used. If you do break down then you have two options: use your cellphone to call for help or use an emergency telephone. Using your cellphone won't give accurate location information automatically, whereas each emergency telephone has a unique number which identifies its exact location. Face traffic when you make a call from an emergency phone, just in case you need to move to avoid an oncoming vehicle. If you're parked on the hard shoulder on the left, it is safer to get out of your vehicle on the passenger side so that you are not stepping out into the left-hand lane. Most cars are around 1.8 metres wide so on a 2-metre emergency lane, that means you will be very close to traffic. If there is a grass verge next to the emergency lane, and it's safe to use it, you can get further off the road. If a tyre on the right-hand side of your vehicle is flat and you can't get far enough off the road it is best to call for assistance rather than risk crouching in the slow lane. You can also place an emergency triangle 50-100m behind your vehicle. 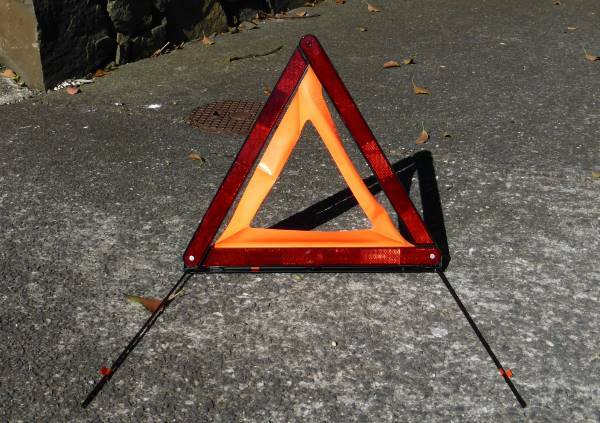 If you're driving a heavy vehicle it's the law to place a minimum of three warning triangles if you have broken down. It's a $242 fine if you stop in an emergency stopping lane when it's not an emergency.